$26.59 This item is selling for $26.59 on eBay. 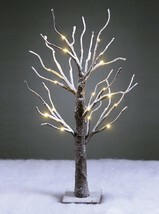 This is a brand new lighted tree... Make your holiday season special with this gorgeous LED lighted bonsai tree. This tree could be used as a centerpiece for your tabletop, mantle and the backdrop for the perfect Christmas village. It has a handy on and off switch on its base. It has the appearance of a light dusting of snow that is affixed and will not rub off over time. It's perfect for all year round - anytime you have a special occasion such as a wedding or banquet, it's going to be your go-to decoration. Features Number of lights: 24 Approx. 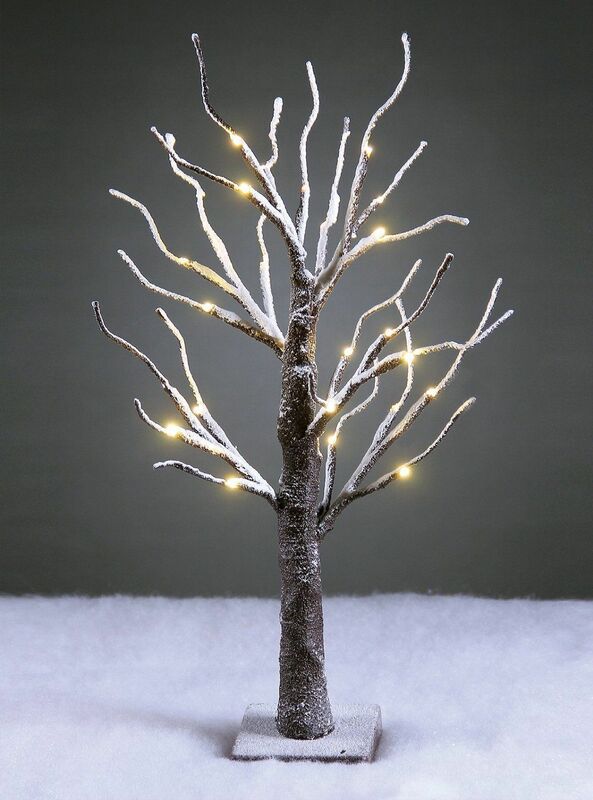 1'8" high LED lighted pre-lit snow bonsai tree and equipped No cords wires or electrical outlet needed: 3AA batteries operated, with ON and OFF button totally portable and timer 6 Hours on 18 Hours off automatically Natural designed, realistic barked stem and dusted snow, bendable branch brown and can DIY for shaping adds special touch to any holiday centerpiece or Christmas village Multiple use all year round: as a baby night lamp, dresser top jewelry tree to organize necklaces, earrings, table top home decor, centerpieces for weddings, parties and special occasions and more Power options: battery 30,000 Hours projected bulb lifespan Powered: Yes Battery Included: No Number of Batteries Needed: 3 Lighted: Yes Manufacturer provides 1 year warranty Let me know if you have any questions! !